Did you celebrate?? Let me know! A fancy celebration of Waffle Wednesday was out, due to my empty fridge. So I went for something a little more rounded. Work was another long one, with my arse planted in a court bench all day. I’m covering a murder trial all week. The circumstances aren’t all that heart wrenching, but still pretty brutal. The victim was stabbed a dozen times and we had to look at the autopsy pictures today. I will never understand how someone could do that to another human being. Court is my favourite thing to cover, but it can also be emotionally exhausting sometimes. Which may have led to another cop out on dinner. Except today, I sunk even lower! 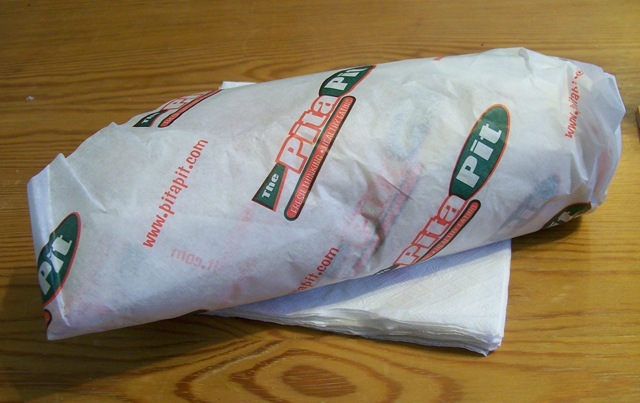 Pita Pit! I had to run some errands downtown after work, which happened to be right next to this fine establishment. It sounded a lot better than trying to scrounge up something from my empty fridge. I got a turkey and hummus pita with every vegetable available. Including pickles and extra bean sprouts, but minus banana peppers. No cheese. It was de-licious too. 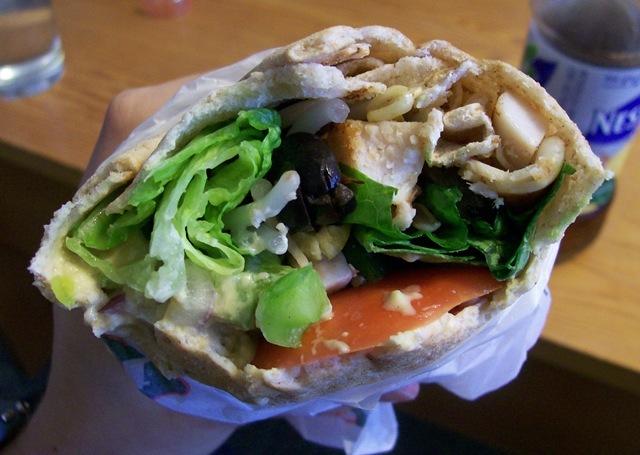 Pitas are such comfort food for me. I was needing a little extra comfort today. My beloved Fergus passed away. He was a fat cat who didn’t care. He would pounce and crawl on things as if he were a creature half his size. He was an outdoor cat by nature, so my mom and I decided we couldn’t deny him the great outdoors. He would spend the nights prowling the neighbourhood, returning home in the morning hungry and wild-eyed. Over the past several months, he’s been losing weight and becoming more attached to us. We attributed this to old age. But my mom called me this morning saying he was having trouble breathing. A trip to the vet revealed cancer had taken over his body and he was put down. I realize he’s just a cat. But we bring pets in our lives for a reason! For love and companionship. Both of which he provided to the fullest. So rest in peace Fergus. Do you have pets?? Tell me all about them!! They all guessed steel cut oats! 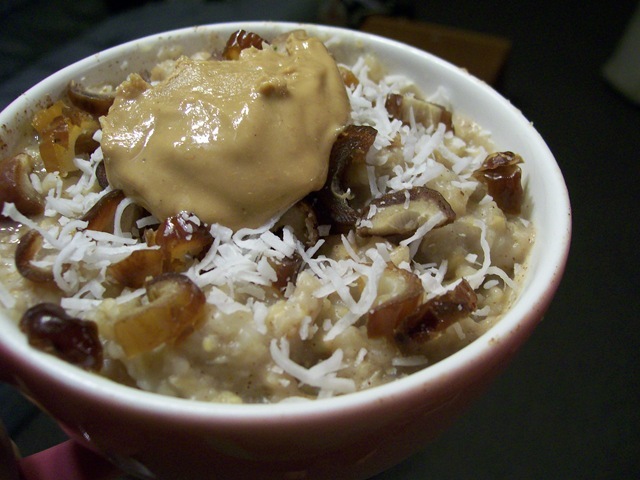 I’ve done pre-made frozen steel cut oats before, but I’ve never made them from home. 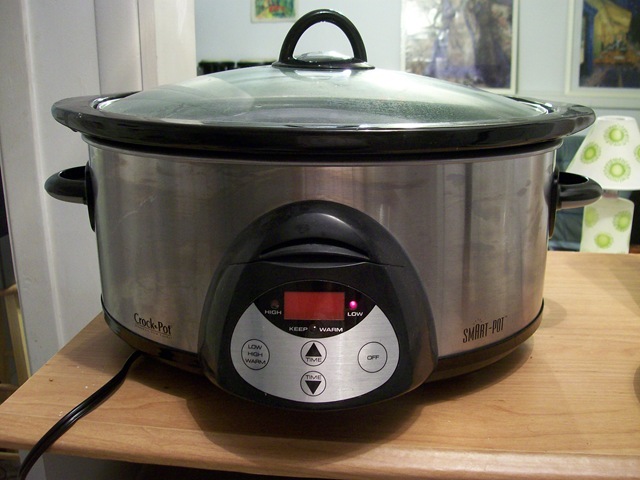 When my old roommie gave me this beast of a crockpot, I knew that’s what it was destined for. 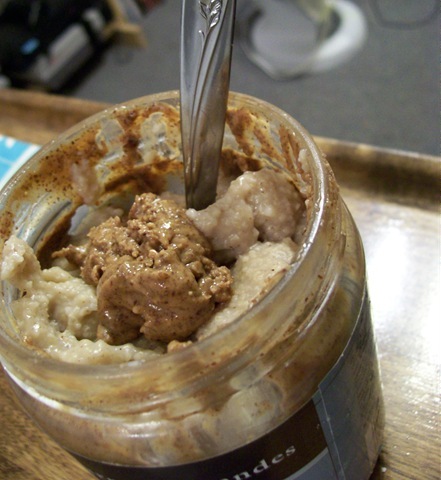 Before going to bed last night, I mixed one cup steel cut oats with 4 cups water and half cup unflavoured soy protein powder. The water is a funny colour from the protein powder. 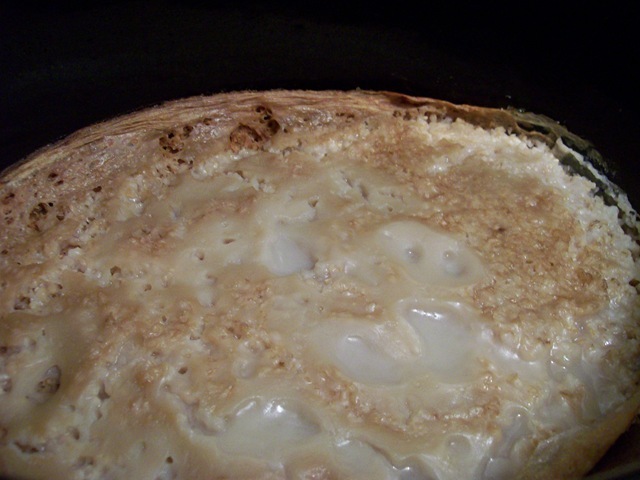 I hate the texture of it when I mix it into cooked oats, so I always dissolve it in the water first. I set it on low, said a little prayer, then went to bed. Ummm… baked steel cut oats?? 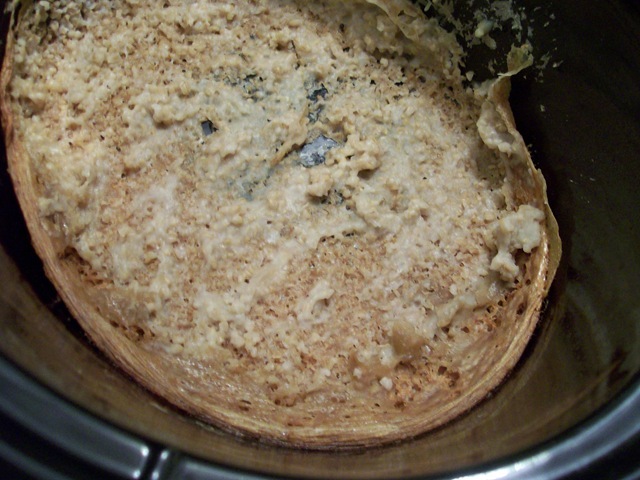 A quick Google search and I found out my slow cooker may be too big for little batches, and that’s why it got crusty. Duly noted. I was still able to mix up the stuff in the middle and get a hefty bowl’s worth. It’s about 1 1/2 cups of the cooked oats, with pumpkin pie spice (out of cinnamon!!! 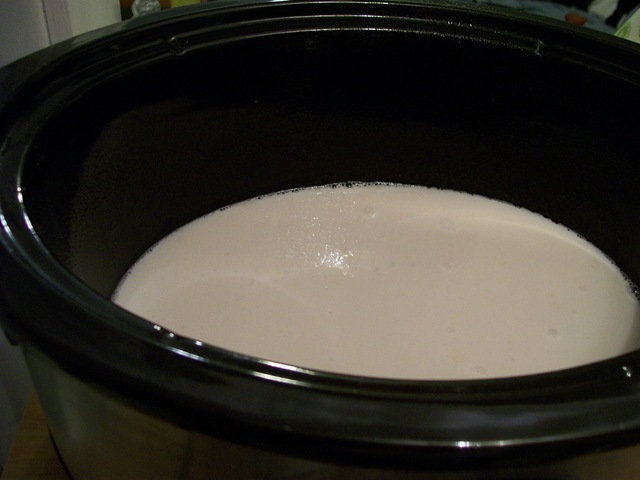 ), honey and almond milk stirred in. Then topped with dates, coconut and cashew butter. Despite the crusty mishap, this was delicious!! I love the texture of steel cut oats. 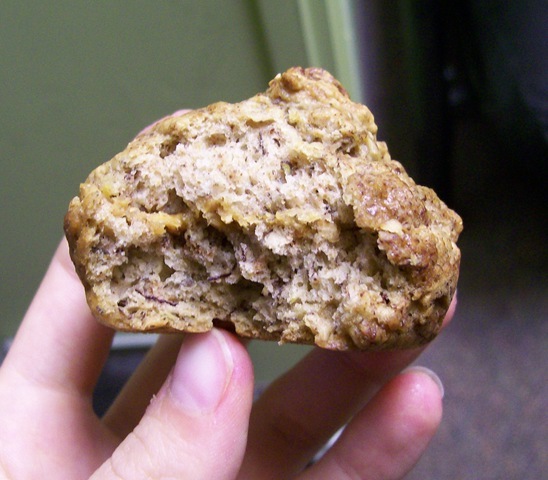 So wonderfully chewy :) In terms of nutrition, one serving of steel cut is nearly identical to that of rolled oats. Steel cut is a touch less processed though. I ended up throwing the rest out. I skipped my morning workout today, because I could feel my body (and mind!) really needed it. I plowed through a loooong day. Including working my second job after my real one. I even copped out on dinner. 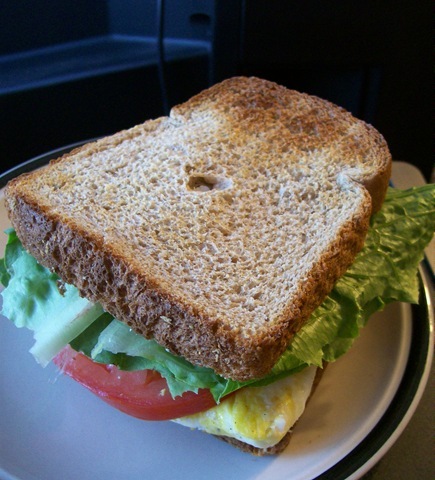 A sandwich. It was this or cereal. I thought a fried egg sandwich was at least a little more legit. 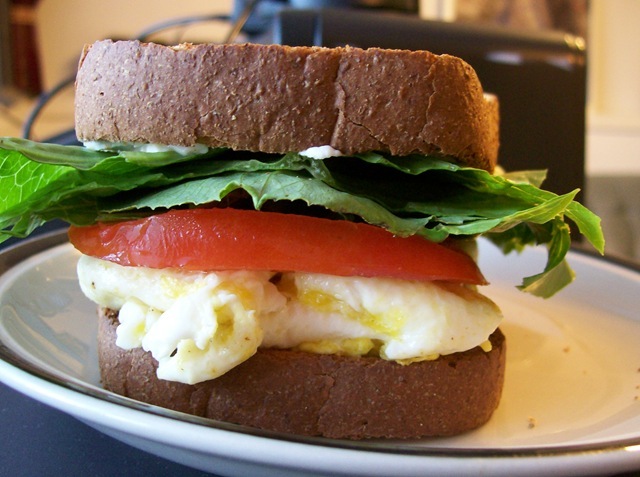 Two fried eggs, tomato, lettuce and laughing cow cheese. I felt like a college student all over again. Even though I was exhausted, and my body felt like it was protesting every move I made, I dragged myself to yoga. You know when people talk about runner’s high? Well, I think I got my yoga high. It’s as if all the stars aligned to give the just the class I needed. We were a small class tonight, with a passionate instructor. She pushed us juuuuust enough. For the first time ever while doing yoga, I was able to really just let go and feel it. I’m the type of person who’s always looking at the instructor, or in the mirror, worrying if I’m doing it right. But tonight I just let my body go. It was wonderful. It reminded me to live in the present. Part of my blues recently, have been spurred by my future plans. I’m not happy where I am now, so I keep thinking about what I can do to ensure I’m happy in the future. This is silly. I need to do what makes me happy now. Sure, I may not be in the place I want to be. But I should try to make it the best I can until my circumstances are able to change. I also think I’m burning out. I’m taking my first vacation since March this weekend. Couldn’t come at a better time!!! So I urge you all to do something today that makes you enjoy the moment you’re living in. And tell me about it!! 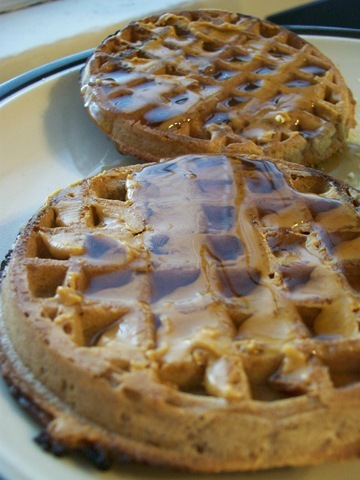 See you for Waffle Wednesday!!! I’ve got a lot of food photos for today! Some days I don’t bother taking pictures of all my eats, others I’m all over it. Today was the latter, so let’s get to it shall we? 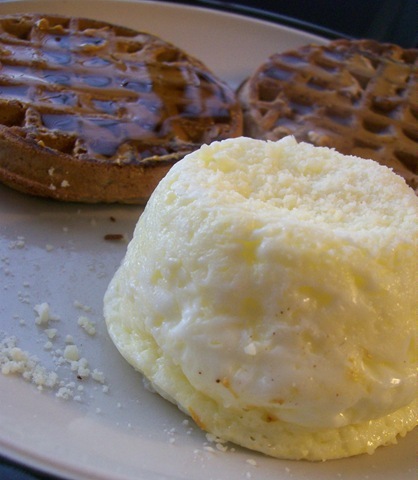 I reeeally wanted to make protein pancakes for breakfast this morning, but my plain cottage cheese had gone bad. 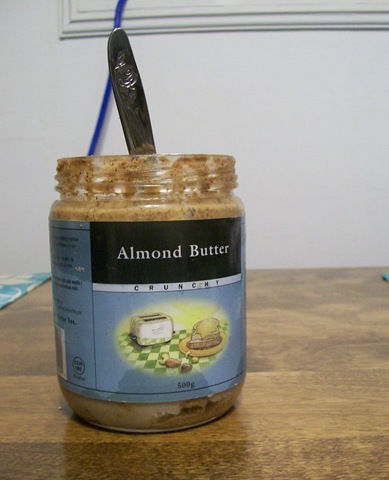 I know tasting foods is always the best way to tell – but ew. Sour dairy freaks. me. out. 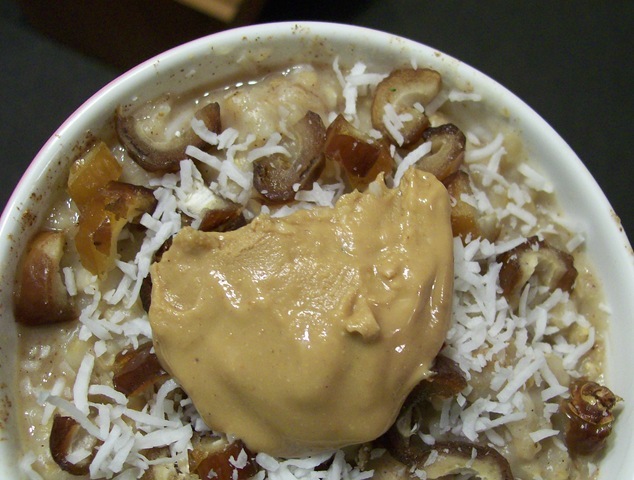 Anyways, the alternative was pretty stellar regardless – oats in a jar! I was a sweaty mess when I came home. My shirt was soaked through! I stuck it out though so I could have a snack first. 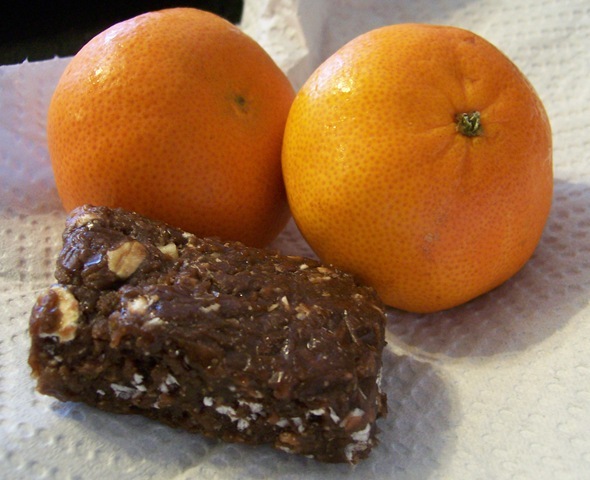 Half of a homemade protein bar and a couple clementines. Or tangerines. Little citrus fruit?? Since I was eating lunch at home today, I skipped the usual bread or pita and went straight for a giant salad. 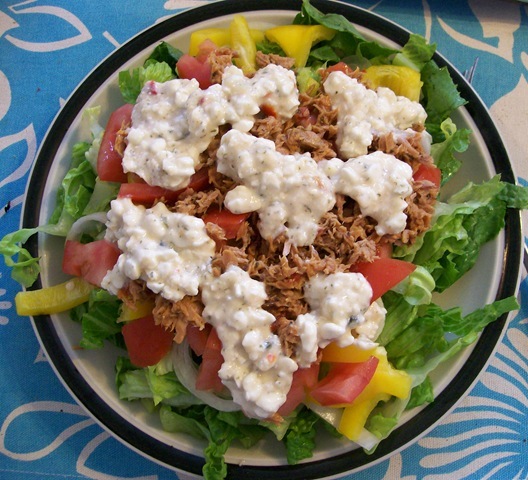 The awesome thing about putting cottage cheese on salads is that it not only ups the protein but acts as a dressing. Yum! And since I’m photographing everything today, there’s the usual sweet ending. I feel like I need something a little sweet to end every meal. 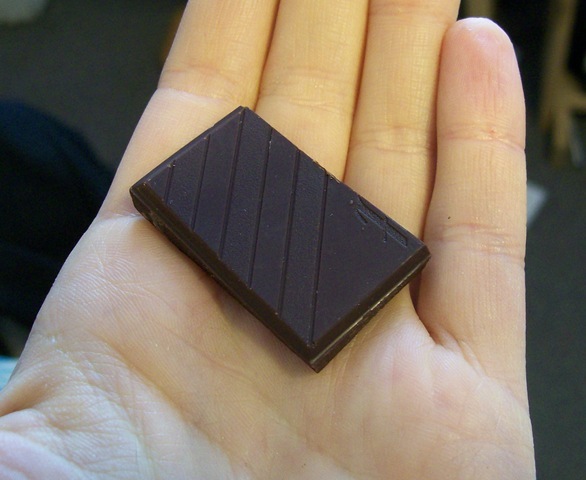 So I like having half a square of Lindt chocolate. 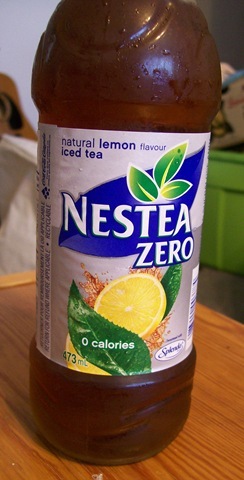 It’s only 25 calories, so it’s not like I’m breaking the bank. This is the fleur de sel kind. Just enough richness to tame that sweet tooth! 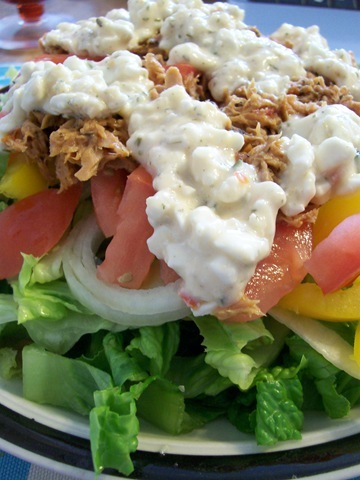 Unfortunately, big salads never hold me over that long. So I was snacky all afternoon. I had some Mary’s crackers with soy nut butter. 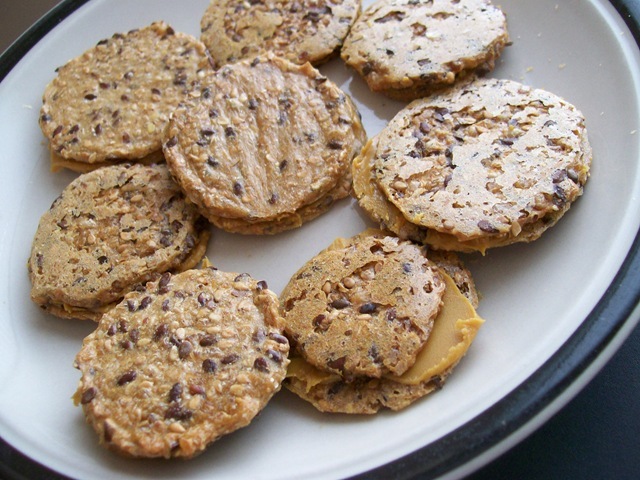 For some reason the soy nut butter tastes awesome with these crackers. This was my first time buying them. They’re alright – really hard and crunchy. I’ve never been much of a cracker person though, so I probably won’t spend the $4.50 on them again. I haven’t been having the best day mood-wise, so I decided to give the whole “baking therapy” thing a try. 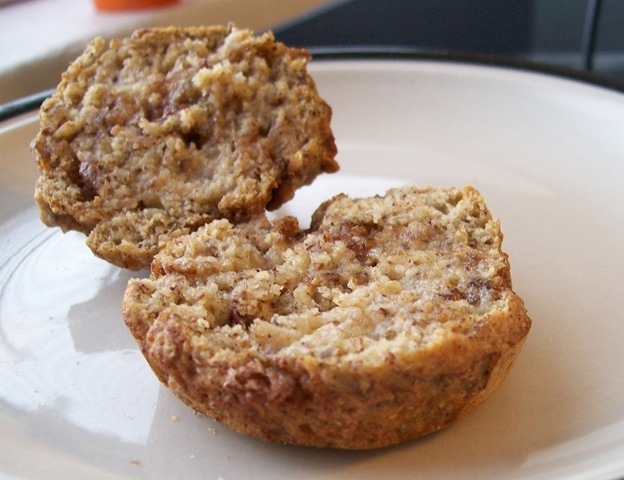 I’ve been wanting to make muffins forever, so I went to the queen of healthy muffin recipes – Steph Chows. 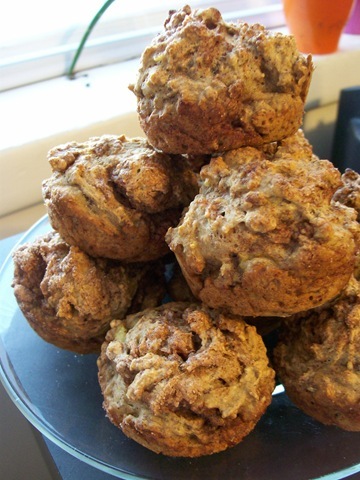 I opted for the Cinnamon Roll Muffins based on the ingredients I had on hand. I don’t have any pumpkin though, so I subbed it out with a banana. I of course ignored all cooling rules and had one immediately. With a little melted earth balance. Do I even have to say it was good? 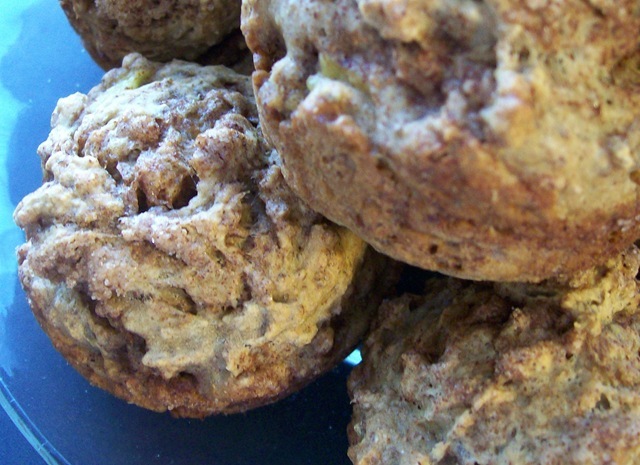 They taste more like cinnamon-y banana muffins. Supper was totally random. Which in my kitchen always = delicious. 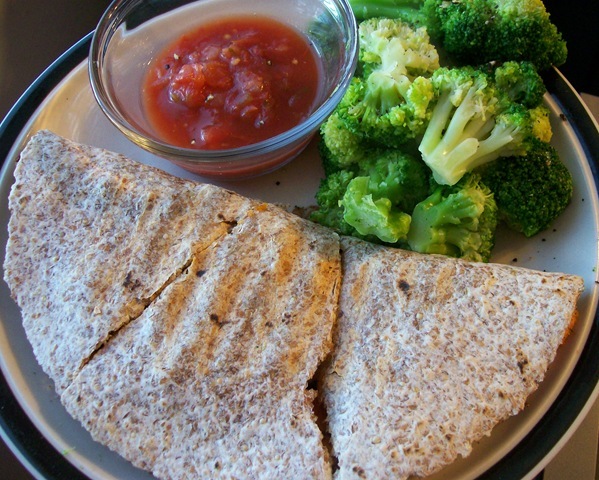 A tempeh sweet potato quesadilla and broccoli. A wonderful combo actually! 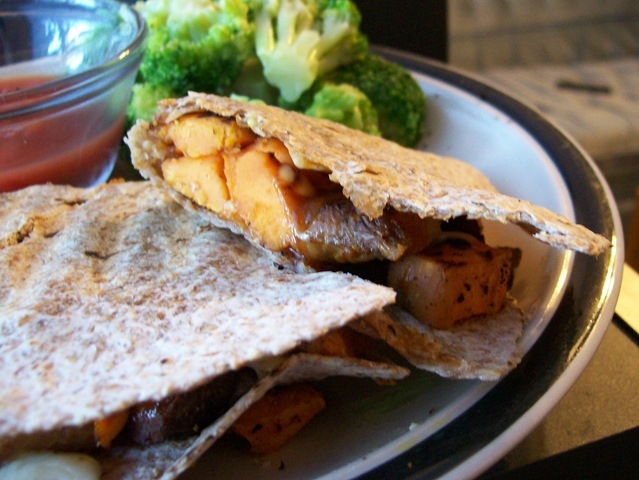 I pan-fried a cubed tempeh burger and miniature sweet potato in cajun spices then put it on an ezekiel tortilla with mozzarella and bbq sauce. Squeezed in the george foreman and dipped in salsa! I’m leaving for Windsor on Friday, so I’m trying to go the week without getting food. Should be interesting! More muffin snackage happened upon my return to the office. Now I’m curled up in bed. Anticipating the results of my first slow cooker experiment. Ooooh…. What could it be?? :P Gonna have to wait till tomorrow! Night night!